On the heels of the Gene Simmons tongue post, we turn our attention to the rich and famous. Who’s got the best, longest, most interesting tongue in Hollywood and beyond? When it comes to tongues who's most well endowed – here are 10 nominees. 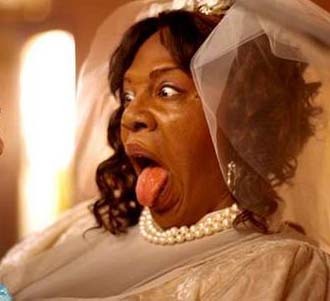 It took some digging for good photos but here’s our Top Ten Celebrity Tongues. 10. 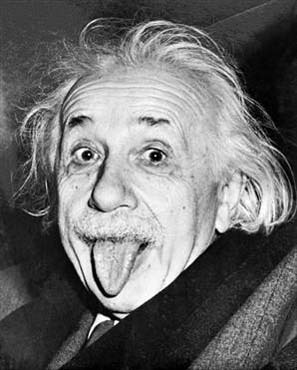 Einstein – Perhaps the first tongue out shot ever immortalized on film. A classic. 9. 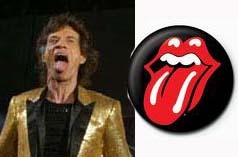 The Rolling Stones (& Mick Jagger) – The most famous tongue logo has to make the list. Mick’s not bad either. 8. Jenny McCarthy – When she was enjoying her 15 minutes, her tongue was too. 7. Eddie Murphy – A funny man with a big mouth and tongue. 6. David Beckham – An international superstar tongue wager. 5. Angelina Jolie – Can’t have a list about tongue without Ms. Jolie-Pitt on it. 4. Jessica Simpson – Tony Romo's a lucky guy. Jessica's tongue can bring it. 3. 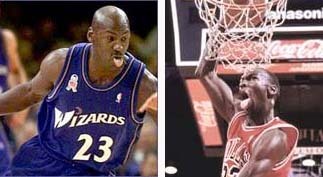 Michael Jordan – Perhaps the most famous tongue in sports. 2. 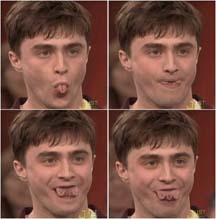 Daniel Radcliff – If this shot's legit and, it seems to be since it was taken when he appeared on Ellen, Harry Potter gets serious props for his tongue skills. 1. Jessica Biel – Her tongue would make Gene Simmons proud. That's some tongue Jessie. Thanks for reading. Now check out our Top 10 Gene Simmons tongues . That shot of Jessica Biel is freaky - and intriguing. said Scaramouch on January 13, 2008 10:33 AM.